Making up for March's relatively dull update, Nvidia has announced what it deems an "essential upgrade for all GeForce users." Released yesterday, the 301.24 beta drivers carry many of the goodies introduced with the GTX 680 a few weeks ago, as well as new performance improvements, bug fixes and SLI/3D Vision profiles. Among the new features is FXAA, an anti-aliasing technology that is supposedly up to 60% faster than 4xMSAA and offers similar, if not superior results to such "ageing" solutions. Nvidia offered a detailed comparison in Batman: Arkham City last December, showing how FXAA fares against varying degrees of MSAA and CSAA. This week's beta drivers also pack Adaptive VSync, which automatically adjusts vertical sync depending on your game's frame rate to prevent screen-tearing and other hiccups. Vertical sync is enabled if your game reaches the ideal frame rate (i.e. 60fps) and it's disabled when speeds dips below the target performance. 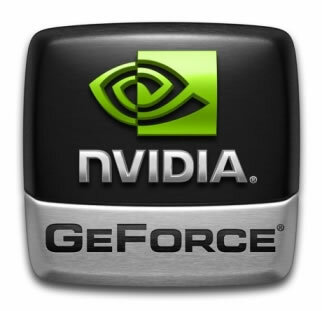 GeForce 301.24 has a slew of Nvidia Surround enhancements, including the ability to enable a fourth "accessory display" for basic tasks like checking email and Web browsing, desktop management options, "bezel peeking" to reveal hidden game information, custom resolution management, and central display acceleration. Nvidia touts another ~20% boost in Skyrim's indoor scenes (compared to last month's 296.10 WHQL release). Depending on your setup, you might also feel gains in Batman: Arkham City, Bulletstorm, Civilization V, Deus Ex: Human Revolution, Dragon Age 2, Far Cry 2, Just Cause 2, Metro 2033, Total War: Shogun 2, and StarCraft 2. We've included a list of SLI and 3D Vision profile updates below and you'll find various bug fixes on page nine of the release notes. Considering Microsoft hasn't approved the update yet, you might want to wait a week or two until the WHQL build surfaces. If not, get downloading and share your findings in the comments.